My husband and I became involved with our local crisis pregnancy center early in our marriage, but asked the following question once we started having children: “How do we involve our children in pro-life service opportunities?” With that question, the Lord began to lead us toward discoveries that made opportunities for adults applicable for kids. It is important to remember that biblical services are meant to remind us why we serve. Keep this fresh in your kids’ minds by praying as a family for the preborn and by citing/memorizing Scriptural verses that speak of the sacredness of life. To solidify our children’s understanding, we need to combine discussions led by the Holy Spirit with acts of service. First, let children pick out donation items for a pregnancy center. Pregnancy centers always need supplies for the families they support. While kids may not be interested in picking out items such as diapers and wipes, they could help choose toys, stuffed animals, and clothing. You could give a little money to each child to let him or her “purchase” the items themselves! Taking ownership for their gifts will fill them with a sense of pride and help them feel a part of the cause. Just be sure to check with your local pregnancy center first to determine which items are needed. Second, help kids write and/or decorate cards to volunteers and workers. The majority of pro-life workers are volunteers, so create an art project where kids can write thank you cards and draw pictures. These cards will remind the workers of their importance and encourage them in their calling. What better way to serve than by blessing someone working for the cause? Next, allow kids to participate in pro-life fundraisers (or create a fundraiser specifically for kids). We participate in two fundraisers each year for our pregnancy center, and we love them because our kids can help. 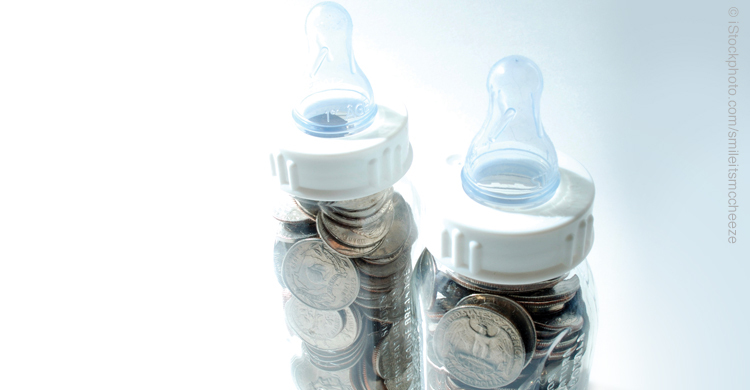 First, our church collects spare change in baby bottles to make a collective donation. Kids can be responsible for placing the change in the bottle and saying a prayer each time they give. The second fundraiser is a one mile walk where we work to gain sponsors. While I do most of the sponsor work, the kids love going to the walk, interacting with other families, and telling others that they “walked for Jesus’ babies.” Furthermore, kids can host their own fundraisers such as lemonade or church bake sales. The possibilities are endless! And it won’t take long for kids to realize the joy the Lord gives when they make sacrifices and work hard on behalf of someone else. Keeping a biblical discussion alive in our homes along with participating in pro-life events as a family will nurture each child’s sense of spiritual responsibility for the preborn. By taking the time and exerting the effort to educate our children on this subject, they will be better equipped to make lasting influences that save innocent lives. Leah Pittsinger is a devoted wife and stay-at-home mother of two boys. She participates in her church and community as a children’s bible teacher, worship musician, and pro-life and adoption advocate. Her mission is to equip future generations of believers to live wholly for Christ.